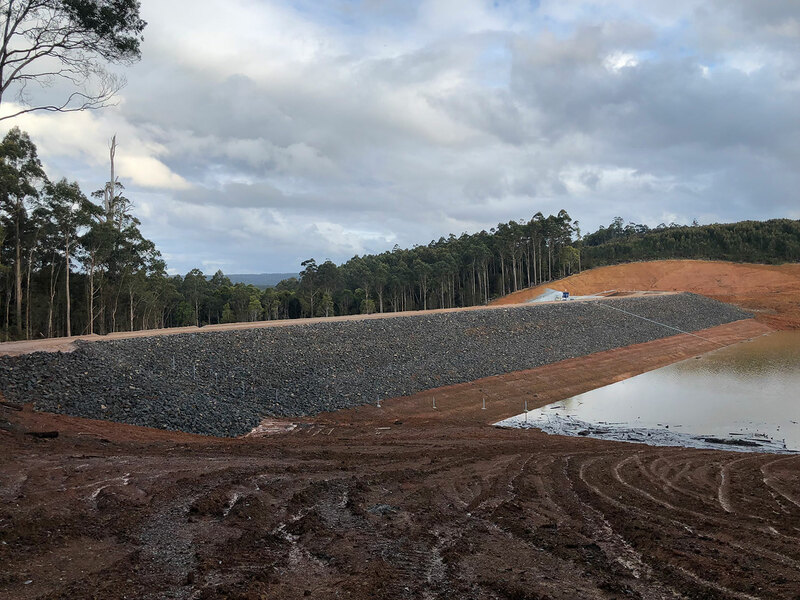 Shaw Contracting (Aust) Pty Ltd is a leader in Tasmania’s road construction, dam building, irrigation, civil infrastructure and mining industries. 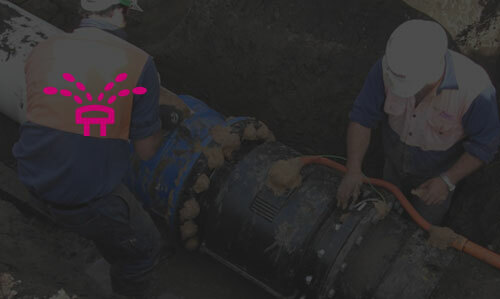 The company boasts a workforce of over 100 highly skilled and motivated people both directly and by subcontract. 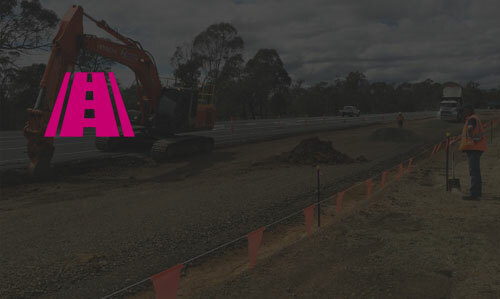 Based in Launceston in Northern Tasmania, Shaw has operations located across the State. At Shaw, we believe that the strength of our company is the combined talent, commitment and operational effectiveness of our employees. 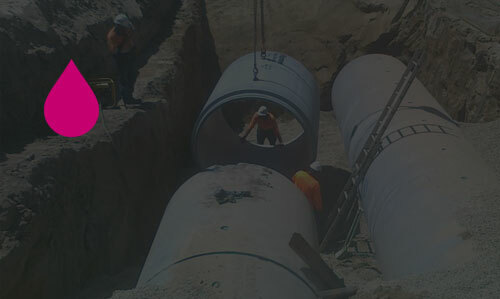 Shaw’s expertise and multi-skilled workforce enables the business to manage the most challenging of projects, delivering consistently on time and to the highest of standards. See our range of core services, and peripheral services we offer. 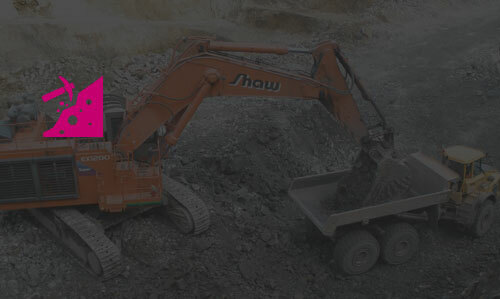 Meet the management team and learn about the people at Shaw Contracting. 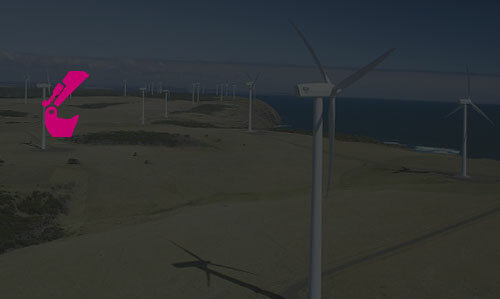 Keep up-to-date with the latest company news and information. 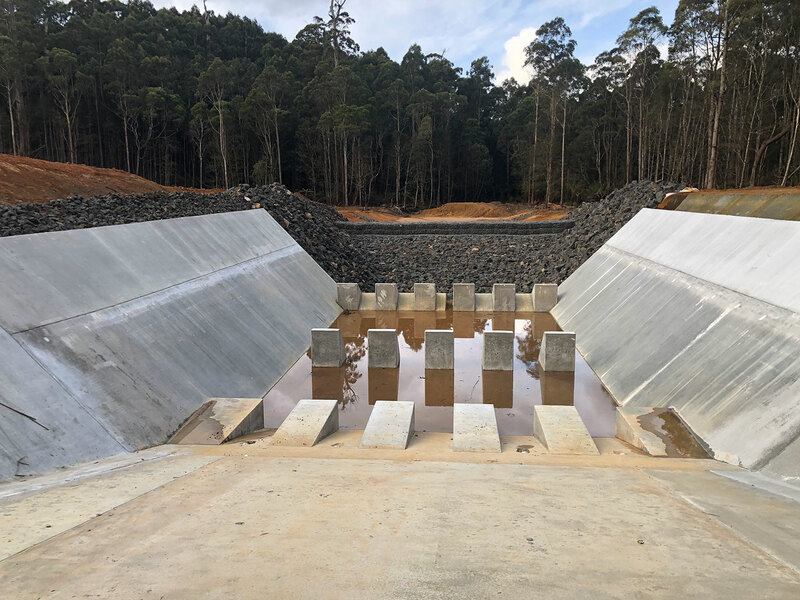 Shaw Contracting undertook the Design and Construct contract for Tasmanian Irrigation to construct a 5,900 ML earth filled dam at Edith Creek approximately 25km south of Smithton. The site was heavily vegetated regrowth forest that covered approximately 75ha of area at FSL level. 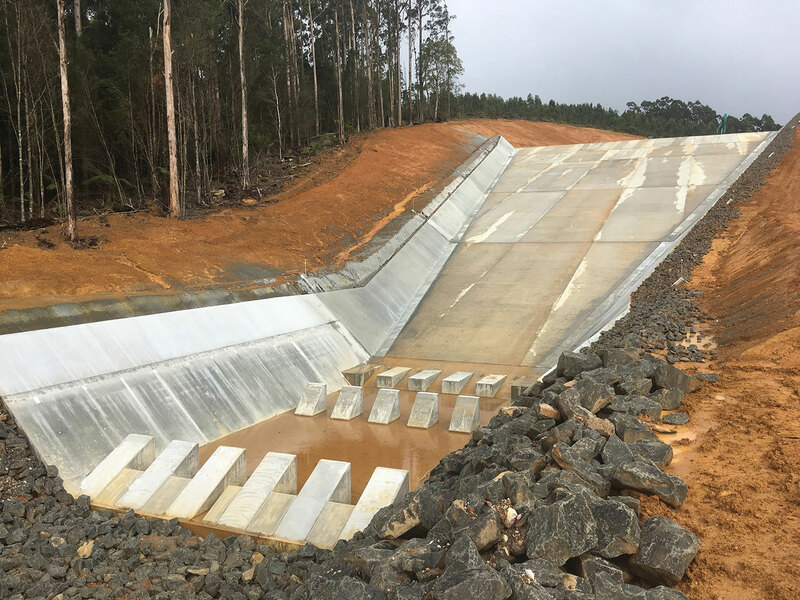 The design was completed to ANCOLD guidelines for a High B consequence category dam with an AEP flood event of 1 in 100,000 year event. 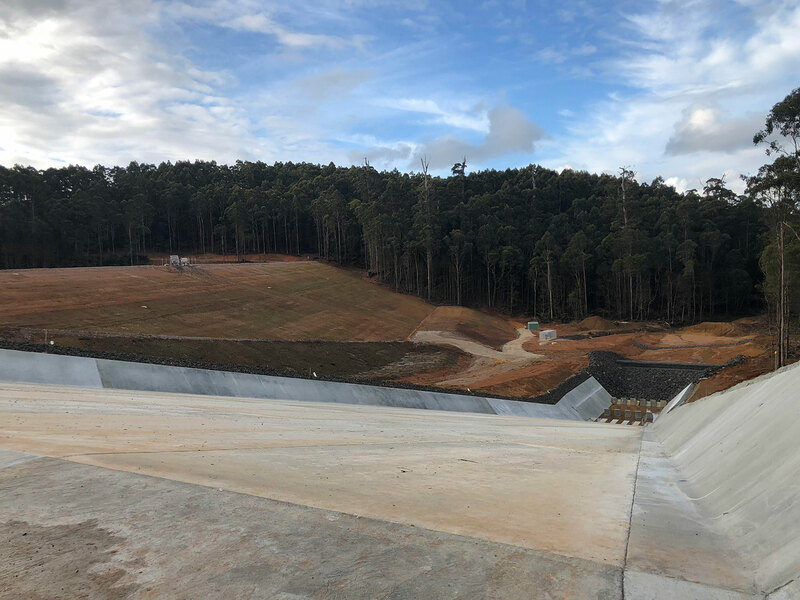 This included an innovative spillway design comprising a 45m wide concrete throat, 25% (1 in 4) grade spillway chute with 1:1 concrete batters terminating at the bottom with a USBBR 2 stilling basin complete with deflectors, subsurface drainage and cut off walls. 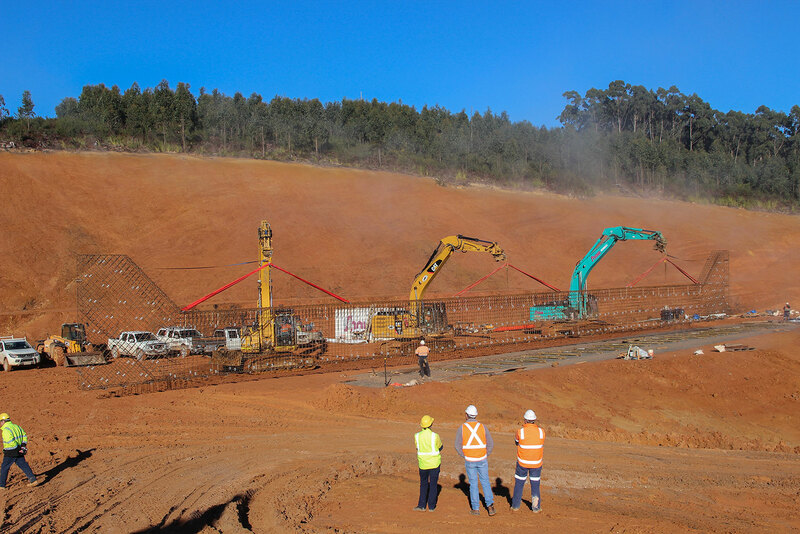 Approximately 82,000m of reinforcing bar included in spillway. The remote location of the site and resourcing of this project was identified as a challenge throughout the project but with a mixture of both internal resources and quality sub-contractors, that Shaw have developed relationships with in the past, the project was delivered inside the contract period. 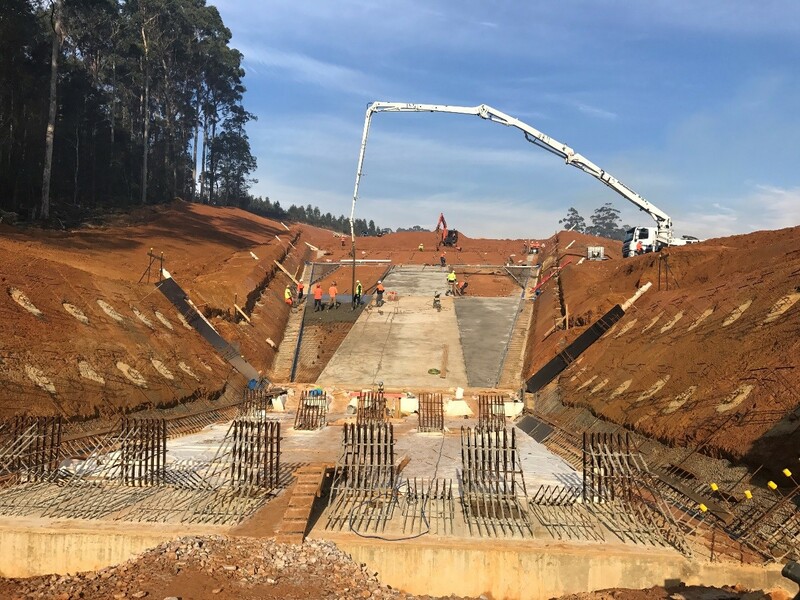 The project timeline was extremely tight to complete the contract to allow the dam to be filled ready for water delivery in the 2018-19 summer and with some minor clearing works completed in March and April 2017 the rest of the works were completed in a single summer construction season. 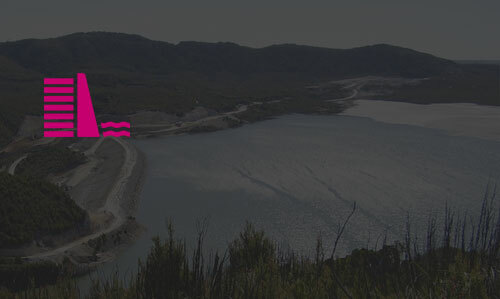 Once works commenced it was identified that the floor of the dam was mostly in an alluvial valley which required the removal of approximately 75,000m3 of unsuitable material prior to the dam wall construction commencing which added a significant additional amount of works to the already tight project timeframe. 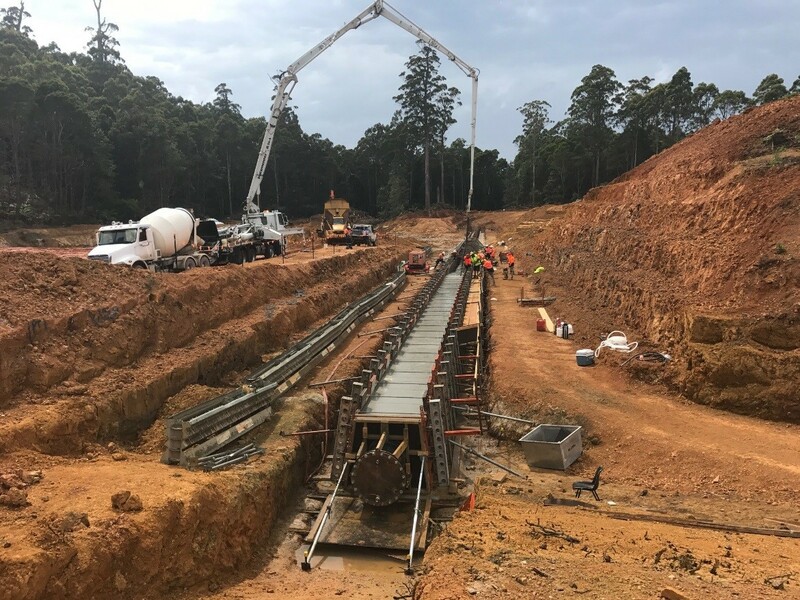 Shaw Contracting, along with our subcontractors, identified concrete supply as being a significant issue in Smithton for the large volumes required in the spillway and engaged Bramich’s Concrete from Wynyard to install their mobile batch plant on site to provide all concrete for the spillway construction allowing 140m3 pours to be achieved on numerous occasions with no delay in supply, whilst still supplying the quality of material required. 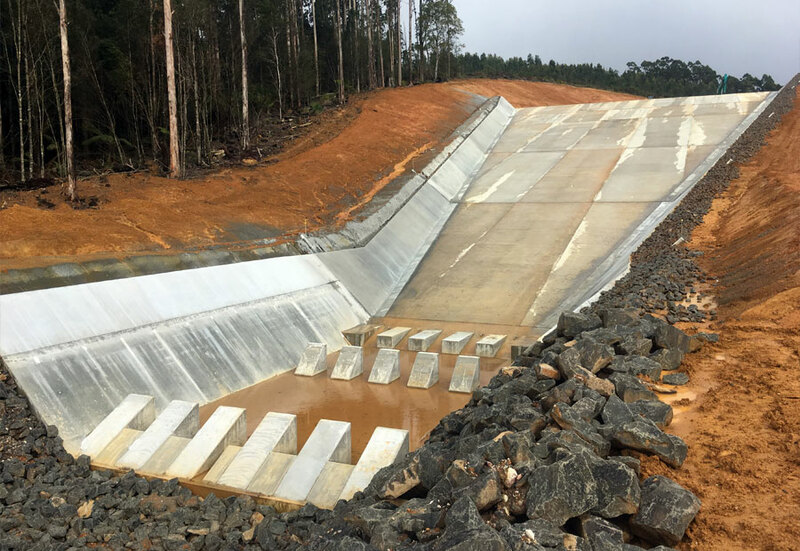 The project reached practical completion by June 30 2018 ready for river flows to be pumped up to the dam site from the Duck River. 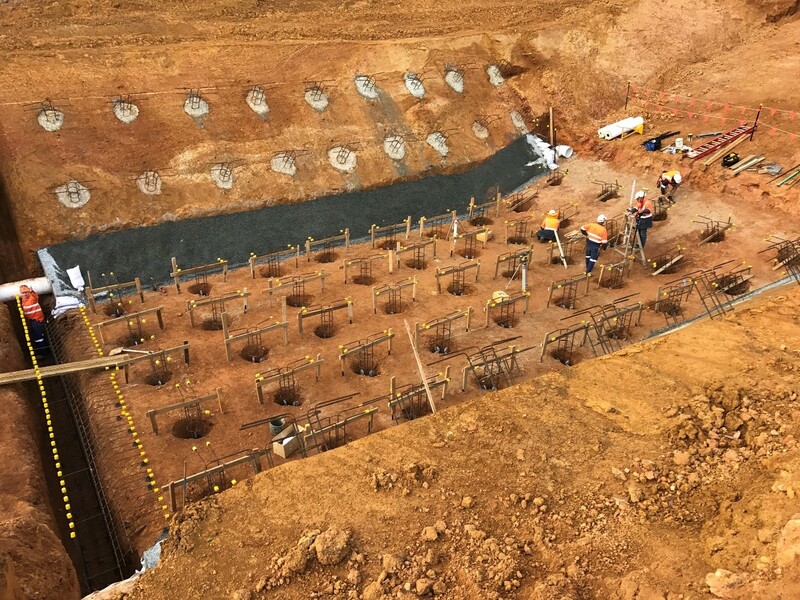 During the works Shaw Contracting adopted a 7 day a week operation to ensure works were completed on time with significant volumes of material shifted with one shift topping out at 10,075m3 for the single 12 hour shift.